The Marys, Peter and John the beloved disciple. 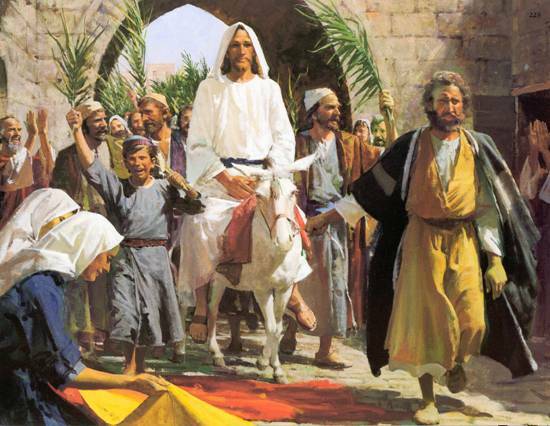 All go to the empty tomb the morning after the Sabbath. The first day of the week. A new week. The angels tell them, “Jesus is not here; you will not find Him in a tomb.” The tomb is empty. There is nothing there but messengers. Heavenly messengers relaying a message from the risen Christ. They go away despondent, not understanding that our God is the God of the living. 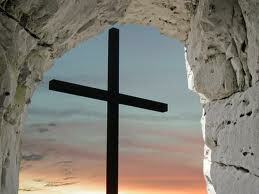 Christ cannot be found in the tombs of the dead. He leads us from death to life. New life for all who follow Him. The disciples go about their lives. 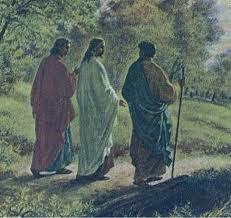 They are met on the road to Emmaus and do not recognize Him. Christ, however, opens their eyes and makes Himself known to them in the Word and in the Sacrament, the breaking of the bread. He reveals Himself to the 10 and then to the 11 apostles. Behind closed doors. In a locked room. Christ makes Himself known to them, and He makes Himself known to us. He is risen. Christ is alive. He makes us alive too. Click here to listen to Deaconess Pam Nielsen of Concordia Publishing House discuss this week’s Sunday School Lesson on Issues, Etc. Sharing the Gospel through hip hop. Propaganda of Humblebeast records. Check them out. This is good. This is the end of our existence as humans. The Cross. Christ came to fulfill the promise of God to redeem mankind and restore His creation. Christ’s purpose was to die as a sacrifice for our sins. And in so doing, God kills to make alive. Our fate is the same as Christ’s. We follow Him to the Cross, are crucified with Him, and raised to new life in our Baptism. 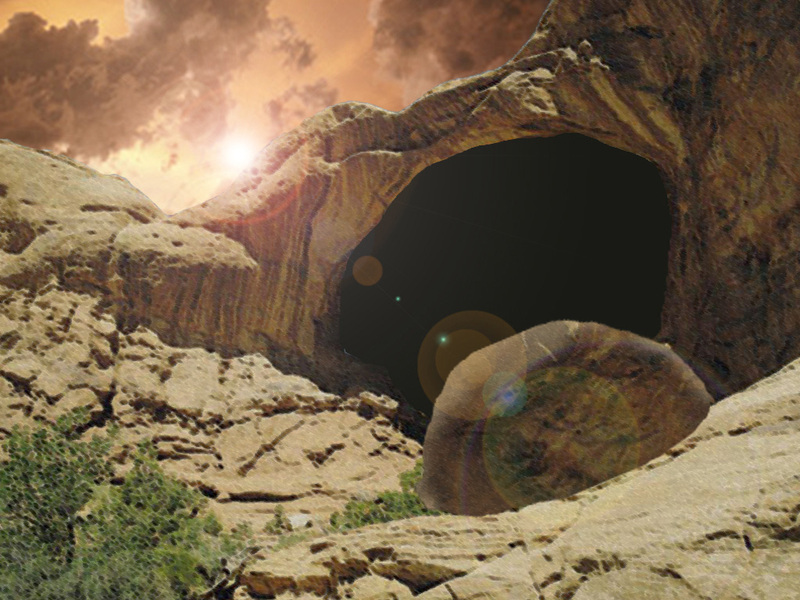 Unlike Christ, however, our glory remains in the future as the empty tomb shows us. He leaves us at the Cross, to carry it in this world, and so to take Him, Christ to all people. The Way of the Cross is a difficult path to travel. But it is our path, the path of discipleship in Christ. 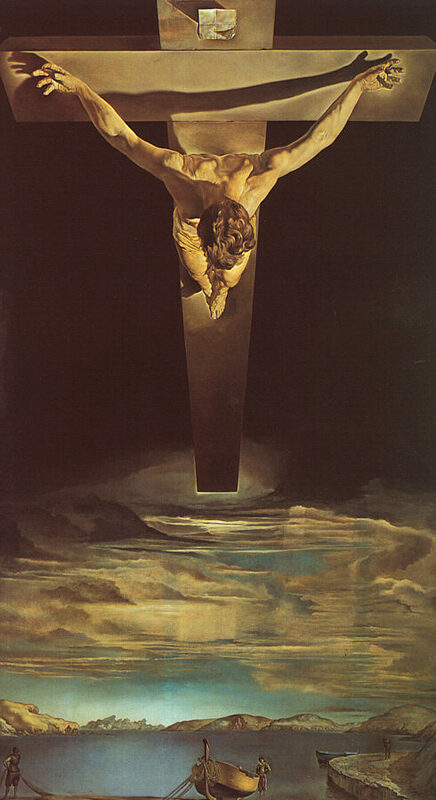 At this time of year, Christians show their devotion to this way by meditating on the Stations of the Cross and the events that occurred along the way from the judgment seat of earthy authority in Pilate, to the skull hill where Christ was nailed to a tree and died. Click the link below to view a slide show that depicts the Stations of the Cross through Scripture, pictures, video, and song. This was a Bible Study we did in our parish during Lent last year and is intended to be viewed by whole families. In 1521, Martin Luther was called before the Holy Roman Emperor at the Diet of Worms to recant his writings and teachings. It had already been determined that he would die if he did not recant. By the grace of God Luther escaped with his life. It was here that he gave his famous “Here I Stand” speech. From Martin Luther’s Foreward to a Personal Prayer Book. These are things to know, not things to DO to be saved. — are we teaching these three to our children? “Three things a person must know in order to be saved. First, he must know what to do and what to leave undone. Second, when he realizes that he cannot measure up to what he should do or leave undone, he needs to know where to go to find the strength he requires. 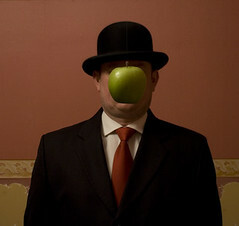 Third, he must know how to seek and obtain that strength. It is just like a sick person who first has to determine the nature of his sickness, then find out what to do or to leave undone. After that he has to know where to get the medicine which will help him do or leave undone what is right for a healthy person. Then he has to desire to search for this medicine and to obtain it or have it brought to him. Luther, M. (1999). Vol. 43: Luther’s works, vol. 43 : Devotional Writings II (J. J. Pelikan, H. C. Oswald & H. T. Lehmann, Ed.). Luther’s Works (11–45). Philadelphia: Fortress Press; pp. 13-14. In John 11, Jesus receives word that his friend Lazarus, the brother of Mary and Martha, was ill. It was serious enough that Lazarus’ family called upon the miracle worker. Yet Jesus does not go to him, telling those whom the sisters had sent that the illness was not serious, and did not lead to death. John goes to great lengths to point out that Jesus had a special affection for this family. It was Mary who had anointed Jesus with oil, and Martha who was scolded for failing to recognize the rest and nourishment to be found in our Lord Jesus. Instead of going to Bethany where they lived, Jesus stayed where He was two days longer. 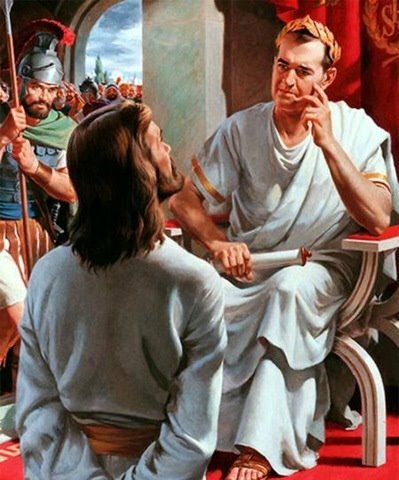 His disciples must have agreed with Jesus’ decision because they become concerned when Jesus asks to go to Judea. 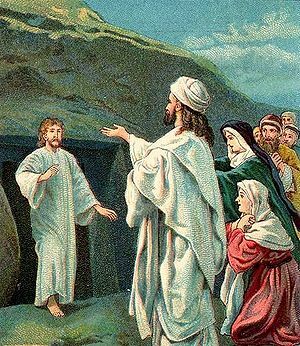 They argue with Him, but Jesus tells them plainly that Lazarus had died. And curiously Jesus tells them that He is glad, for their sake, that He was not there when Lazarus died. This ragtag band of fishermen, would be soldiers and rulers in Christ’s kingdom, had to be quite puzzled. They were clearly afraid that they would be attacked by the Jews again. They were angry. Jesus had clearly agitated them, and the disciples were getting cold feet. Dazed and confused by Jesus’ statements, Thomas tries to muster some courage and rally the troops saying, “Let us go to Bethany and die with him!” Yet the work of the Cross is foolishness to those who are perishing. God never comes to us in the way we expect Him to. He reveals His glory in ways that we cannot anticipate. What did Thomas expect when they got into Judea? What about the disciples? Martha meets Jesus before He gets to Bethany, scolding Him. Rightly, she says that Lazarus would not have died if Jesus had been there. Yet faith would not have been created in His disciples. Nor would we have gotten a glimpse at the fully incarnate God-man Christ as we do here. For Jesus gives us the full range of His humanity in the emotion and love He displays for this family, the concern for His disciples’ faith, and the full range of His Deity in the creation of faith and raising Lazarus from the dead. And Lazarus was not just dead — he was REALLY dead. Four days. Decay had set in. And lest we forget, Christ Himself makes the claim here that He IS God in one of the great I AM statements of John when He tells Martha, “I AM the resurrection and the life.” There is life in no other. We who are dead can only be made alive by Christ; we only receive life in and through Christ. Make no mistake, when it comes to our salvation, without Christ, we are all exactly like Lazarus no matter how good of a person we are. Listen to Deaconess Pam Nielsen of Concordia Publishing House discuss this week’s lesson on Issues Etc. Just Heard on Issues Etc. 24: When you raise a child like he is the Messiah, you get Cain. Dr. John Saleska, Director of the Concordia Bible Institute at Concordia University Wisconsin, just made a brilliant point in his talk on the book of Genesis on Issues Etc. 24. 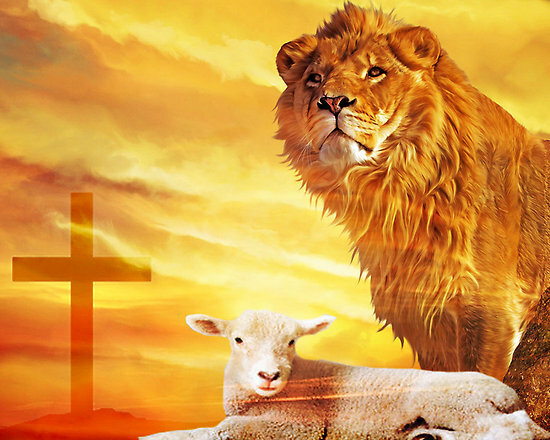 Referring to the children of of Adam and Eve, Dr. Saleska observed that “when you raise a child like he is the Messiah, you get Cain.” And who was Cain? A selfish murderer of his very own brother. He was jealous of his brother Abel’s sacrifice, and had no difficulty in killing him out of pure rage and spite. And that was simply with the first children of our forbears. Just imagine what we do to our children when we raise them as if they were like a Messiah. Saturday, April 9, 2011, a fundraiser is being held to benefit Our Savior Lutheran Academy. The event will take place at Our Savior Lutheran Church, 5110 Franklin Road, Nashville, Tennessee. Tickets are $50.00 at the door. Grandparents $25.00. There will be dinner and entertainment featuring our very own Jennie Williamson and Ben Glover, 2010 ASCAP Christian songwriter of the year. The keynote speaker will be Dr. Micah Glover of Trust Guy Ministries. Dr. Parker will also be leading Bible Study for all ages Sunday morning. Dr. Parker is a featured speaker at the wildly successful Lutheran Hour Ministries Regional Outreach Conferences. He also speaks at youth conferences, apologetic conferences, and other outreach gatherings throughout the country. You can find out more information about him at his website. At Cross.tv, there is an interview with him telling how he got started speaking. Come out and support our school. Proceeds will go to fund technology upgrades, and art and music programs in the school.